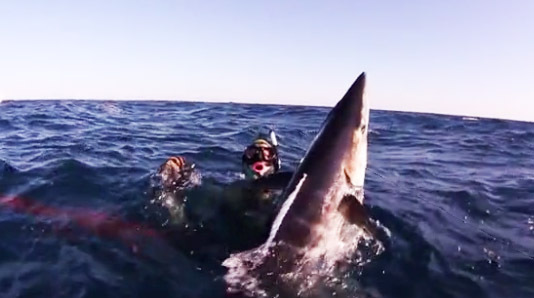 Incredible footage of some gutsy spearfishermen, taking out big wahoo that are schooled up with a bunch of sharks. Awesome fish! 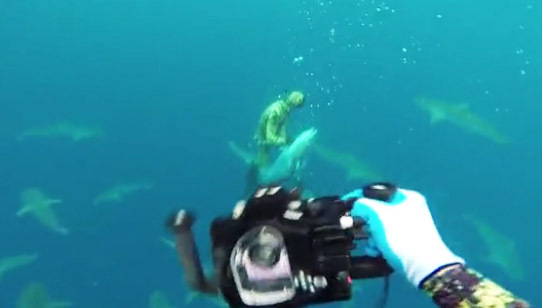 They free dive down and spear the wahoo and then the float takes off through the sharks. Jacks ‘n hoos, sharks ‘n bulls from sucinimad on Vimeo.